Hello again everyone! 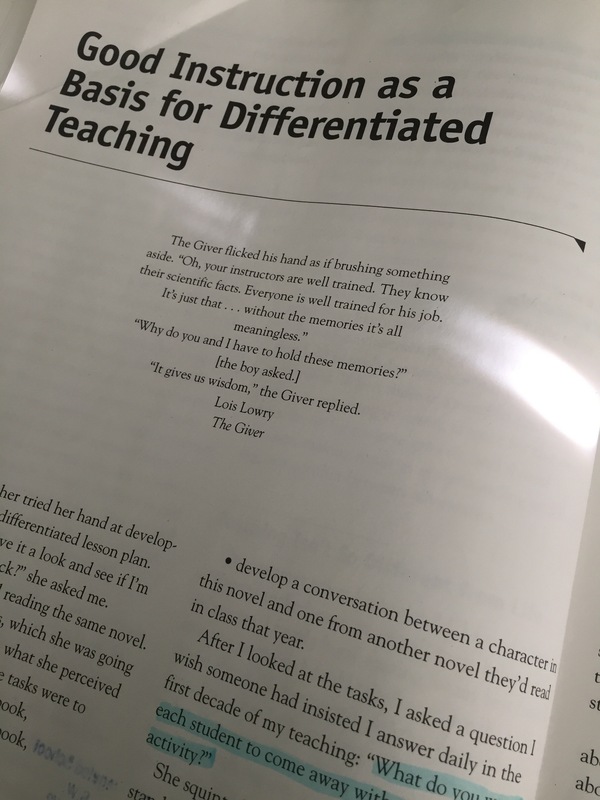 We’ve made it to the last chapter in Carol Ann Tomlinson The Differentiated Classroom. This chapter is called When Educational Leaders Seek Differentiated Classrooms and it’s targeted toward educational administration. 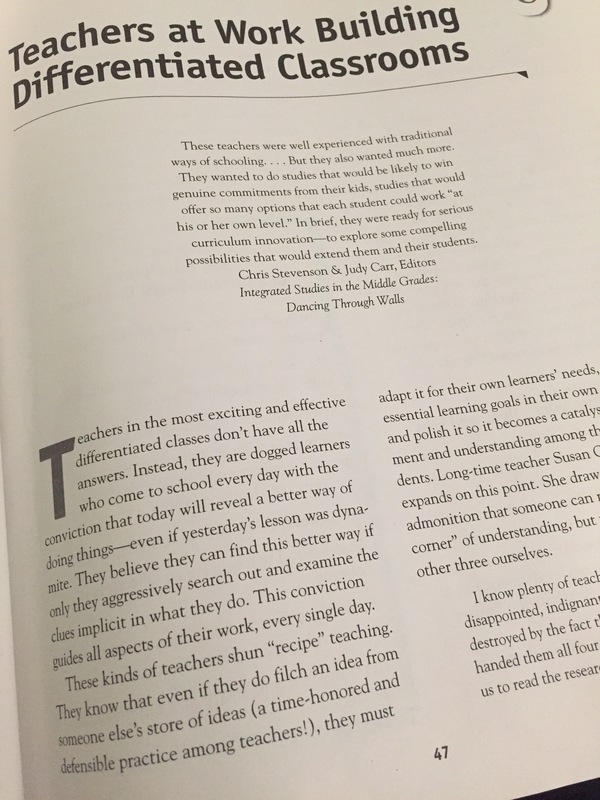 The chapter talks about how to support teachers in a school’s vision toward Differentiated instruction. I don’t think it needs to be said that this chapter wasn’t aimed at myself or hit upon the reasons I began reading this book. Perhaps if I ever become a principal, I’ll return to this chapter to fully embrace it, but for now, I found it far less helpful than the chapters which preceded it. Thanks for reading along with me, everyone! I really enjoyed this book and the tips it provided. 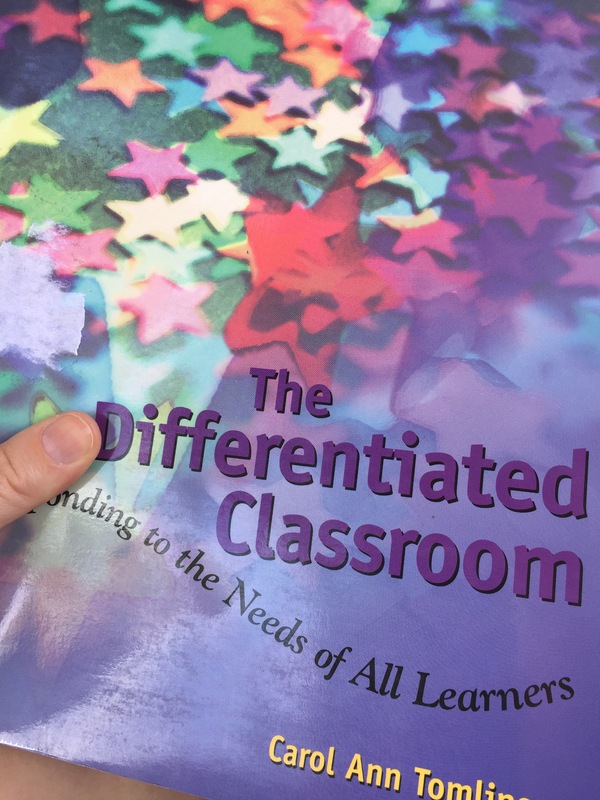 I recommend it to anyone first starting out with differentiation as well as to those who, like me, are looking for more ideas to expand upon the differentiation already in progress. As always, if you’re interested in the book, here’s a link to it on Amazon. Hello friends! 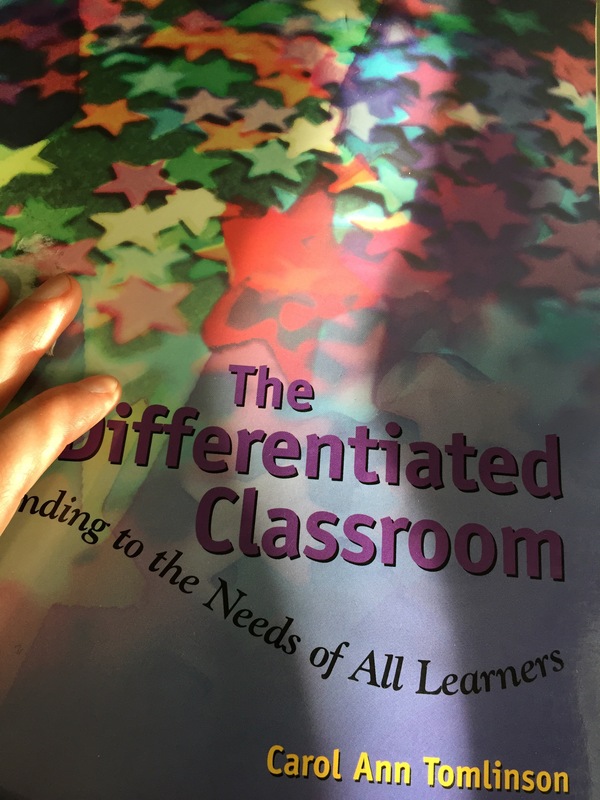 I’ve just finished reading chapter nine in Carol Ann Tomlinson’s The Differentiated Classroom (we’re getting closer and closer to the end). 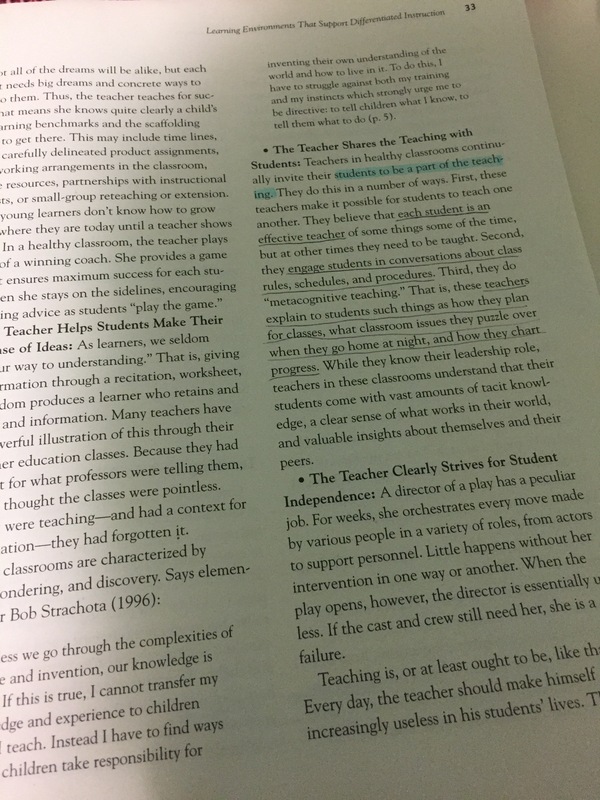 This chapter is titled How Do Teachers Make it All Work and delves further into the classroom management and organization side of differentiation. 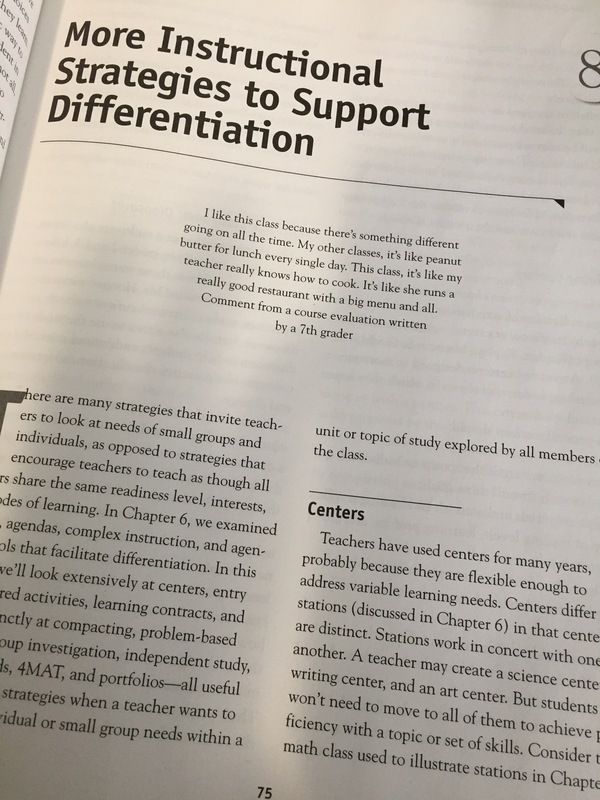 The chapter discusses how to get started with differentiation and gives some great pointers. Starting small and ensuring that activities are well planned, organized, and students are given clear instructions is the best bet. Something else which I also really liked was the section talking about reflecting. I believe that reflection is a very important part of teaching and of improving, and Tomlinson provides some great pointers for what to reflect on and what to change or alter as a result of those reflections. Also extremely helpful was the discussion about how important directions are. Kids need to know what they are supposed to be doing and it can be especially tricky to ensure they’re all on task when they’re all doing different things. As a Type-A person, I value staying organized and always knowing what’s going on in my classroom and what stages students are at. I appreciated this chapter for giving me some pointers and tips for how to stay on top of everything. Here’s a link to the book on Amazon, for anyone interested. One more chapter left! Keep on reading! Hello again everyone! 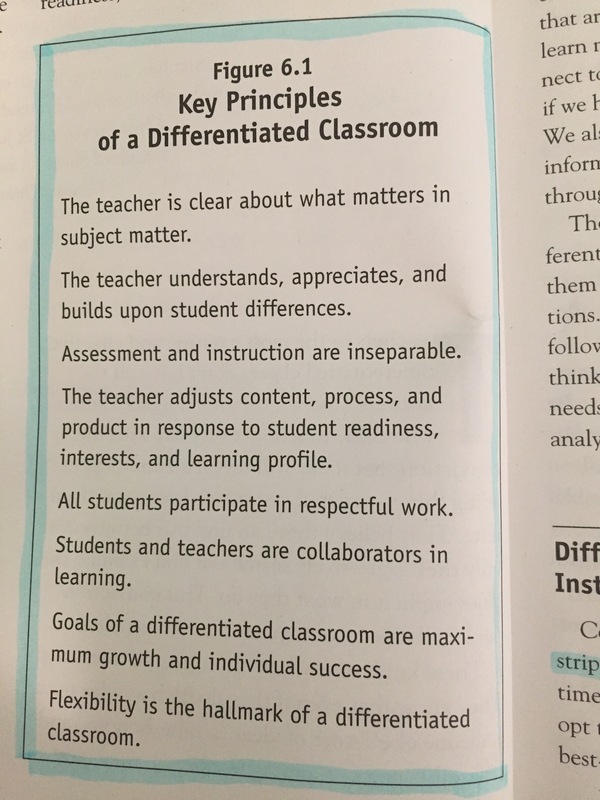 We’ve been reading through The Differentiated Classroom by Carol Ann Tomlinson. Last chapter was all about various instructional strategies to support differentiation. 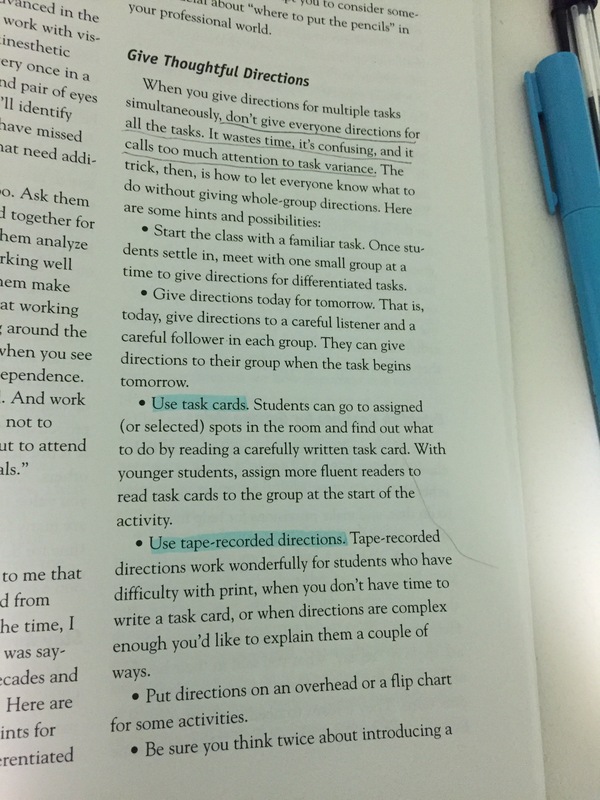 This chapter is titled… (wait for it)… More Instructional Strategies to Support Differentiation. Yay! As you may remember, I really enjoyed the last chapter (which was all about instructional strategies) so I’m very excited to read this one as well. 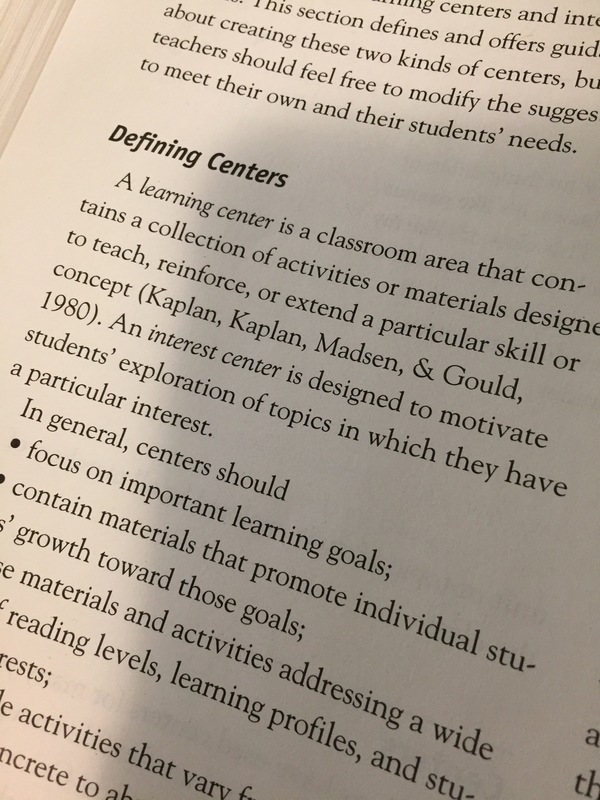 The chapter begins with centres, which I already do in my classroom, but which I was excited to read about for more ideas of centres to incorporate as well as ways in which to include more subjects other than Language Arts and Math. Indeed, reading through this section, I really enjoyed the examples included; they require a lot of extra prep work to set up, but they’re worth it in the long run. 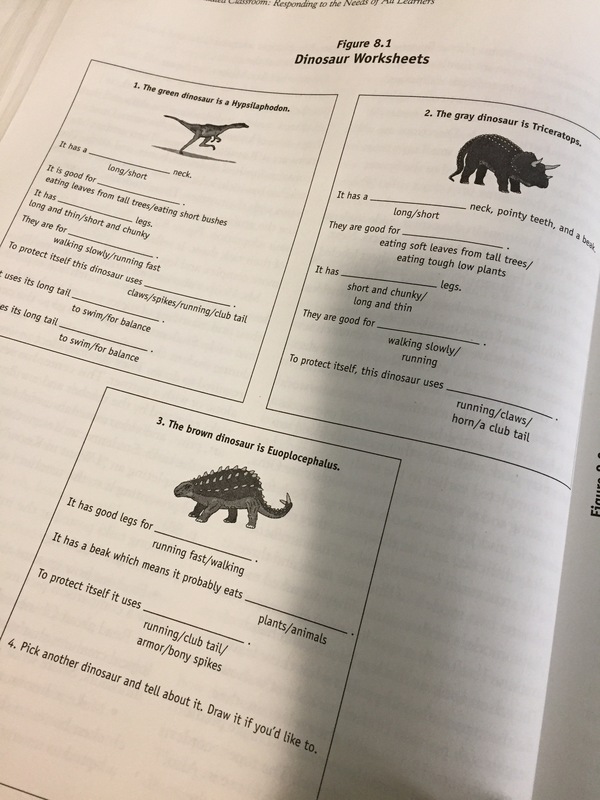 Also included were some dinosaur worksheets which I loved looking through as thy would be great for my dinosaur unit. Also discussednin the chapter we’re entry points, tiered activities, learning contracts, compacting, problem based learning, group investigation, independent study, choice boards, 4MAT, and portfolios. I’ve worked a lot with tiered activities (one of my personal favourite ways to differentiate) and choice boards, but what really peaked my interest in this chapter was learning contracts. 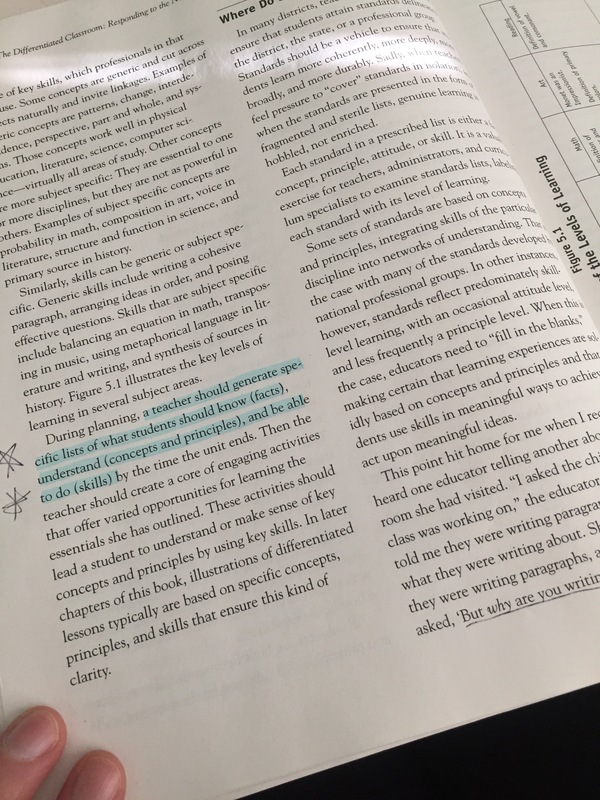 I really liked the way the example in the chapter was set up, and felt like it was a great way to let students practice working independently. I’m very excited for the final two chapters; I’m hoping they provide as much inspiration as these last few. Here’s a link to the book on Amazon, if you’d like more information or are thinking of buying it. Keep reading! Hi everyone! 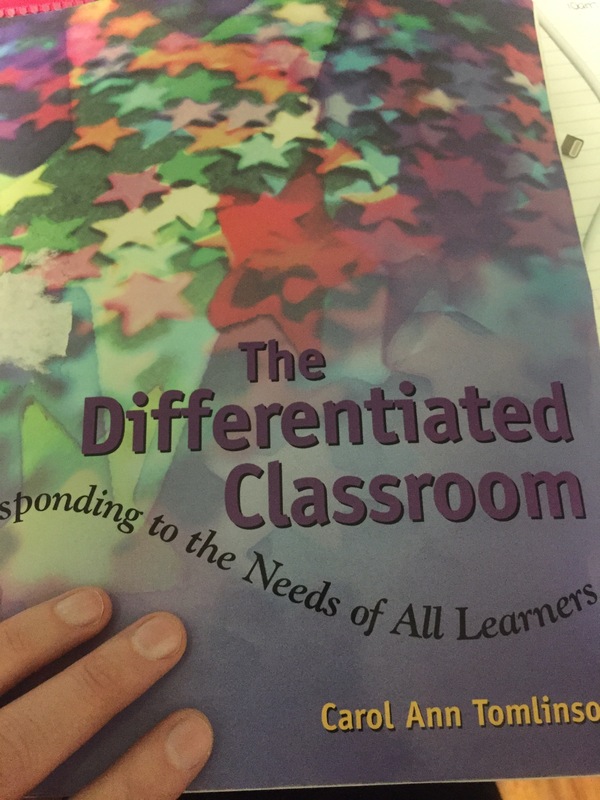 I’ve been reading The Differentiated Classroom by Carol Ann Tomlinson and I just finished chapter seven. 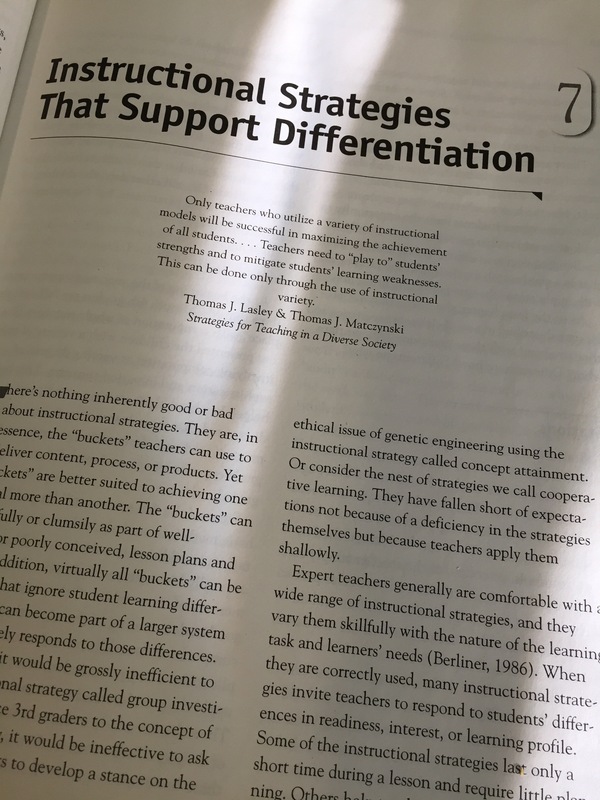 The chapter is titled Instructional Strategies That Support Differentiation and, you guessed it, it’s all about various instructional strategies teachers can use in their classrooms. I really liked this chapter as it discusses different types of instruction, most of which I have never used or even heard of before. 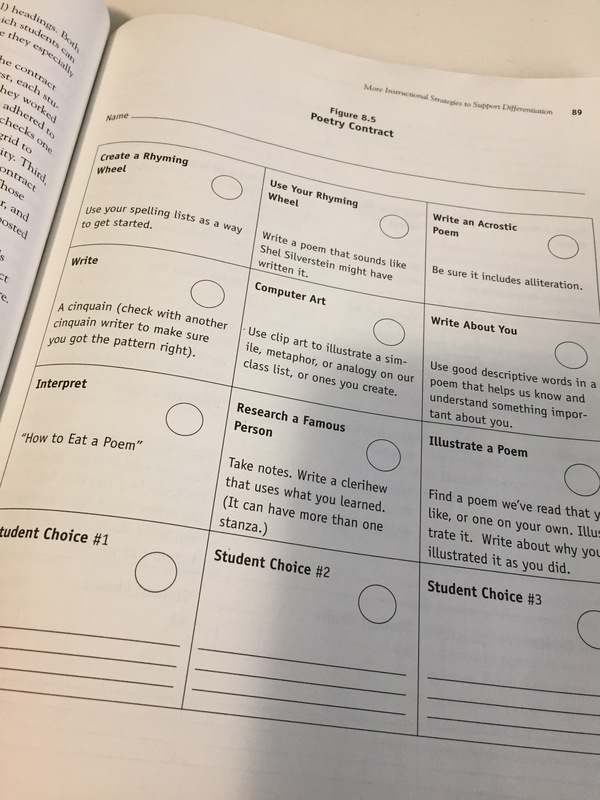 While many of the strategies would not be effective in my own classroom, there are many I know I could alter to suit my needs or else use in future classrooms I may have. Tomlinson discusses using stations, agendas, complex instruction, and orbital studies and provides examples of teachers using all of the strategies in their own classrooms. I really liked the idea of stations (different from centres) as well as agendas, though I would have to alter both to suit my own needs and classroom. I highly recommend this book in general, but I have particularly liked this and the previous chapter for giving ideas and inspiration for my own planning. If you’d like to purchase the book, here’s a link to in on Amazon. I’m excited to see what chapter eight holds! Stay tuned! Hello everyone! We’ve been reading Carol Ann Tomlinson’s The Differentiated Classroom for the past few weeks, and I just finished reading chapter five. This chapter is titled Good Instruction as a Basis for Differentiated Teaching and I found it to be my favourite chapter thus far. It begins delving into the beginning stages of planning, and got me excited to start planning and changing future units. 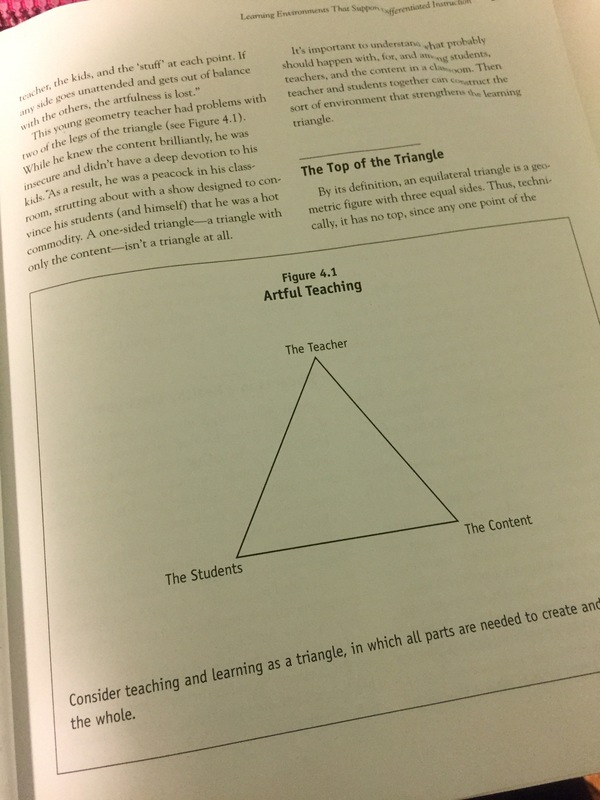 The chapter begins with Tomlinson recalling a teacher asking for input on a differentiated lesson plan and Tomlinson asking “what do you want each student to come away with as a result of this activity?” This struck a note with me as I find it’s something teachers can easily forget about when we become overwhelmed with planning and find ourselves simply teaching something (novel, lesson, etc.) and then having the kids do a random activity. 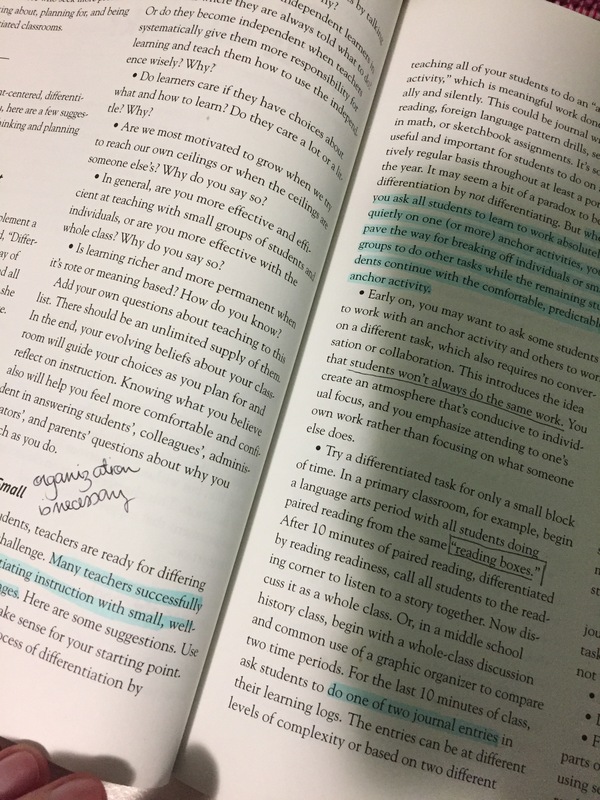 The chapter then goes into detail about the levels of learning and how to ensure students are engaged in what’s being taught as well as properly understanding it. Once teachers know what exactly they want kids to get out of a unit or lesson, then they can begin differentiating in order to properly meet kids at their own skill and readiness level. Also expressed in the chapter was the importance of clarity. The teacher should have a clear understanding of the curriculum and know exactly what they want their students to learn and how they are going to show that they’ve learned it. Further, students have the right to fully know and understand teacher expectations and be able to answer why they are learning and doing what they are. I really enjoyed this chapter and felt it began inspiring me to begin more planning (my favourite part of my teaching job – I’m a weirdo, I know). If you’d like to purchase, the book, click here for the link on Amazon. Stay tuned for chapter six!